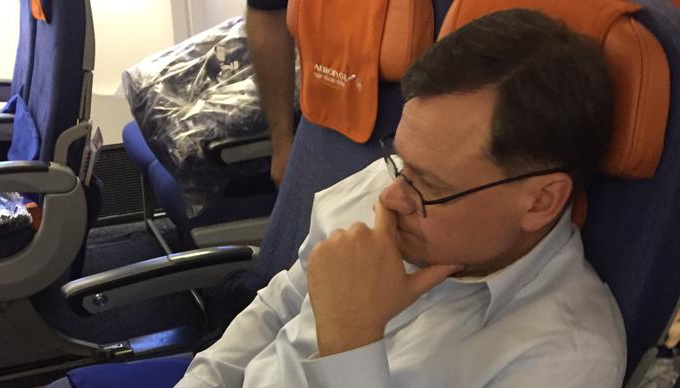 The United States deported convicted spy Evgeny Buryakov to Russia Wednesday morning, CBS News’ Andres Triay reports. Buryakov, 42, was sent to Russia on commercial flights, escorted by deportation officers and turned over to Russian authorities, U.S. Immigration and Customs and Enforcement (ICE) said in a news release Wednesday. Buryakov worked in the U.S. for several years as an agent of Russia’s foreign intelligence agency, according to court documents and ICE. He operated under non-official cover -- meaning he was in the U.S. as a private citizen -- and posed as an employee in the New York office of Vnesheconombank, or VEB, a Russian bank. Buryakov was arrested in 2015 and pleaded guilty last year to conspiring to act as a secret agent for Russia in the U.S. without informing the attorney general, as required by federal law. He was released from prison on Friday, went into ICE custody and was put on an Aeroflot plane on Wednesday morning. A spokesman at the Russian Embassy in Washington, D.C., told CBS News that Buryakov was in Moscow. Buryakov was part of a spy ring that also consisted of two Russians accredited to Russian government institutions in the U.S., CBS News’ Triay reports. According to court documents, one of the men, Victor Podobnyy, reached out to Carter Page, who eventually became an adviser to then-President-elect Trump. Page, whose identity is not openly referred to in the court filings, did provide the Russians with assessments of the energy industry. Page confirms he is the person referred to in the court papers, says the information was not sensitive and that he had no idea the men were working for Russian intelligence. The contact with the Russian intelligence officials happened in 2013, before Page’s association with the Trump campaign.